Kick off your visit on the 19th (Mon): stop by La Deffirence. To see photos, maps, reviews, and more tourist information, go to the Hammamet trip builder . Manchester, UK to Hammamet is an approximately 8-hour flight. You can also do a combination of flight and bus; or do a combination of bus, ferry, and taxi. Traveling from Manchester to Hammamet, you'll lose 1 hour due to the time zone difference. Plan for much hotter temperatures traveling from Manchester in August, with highs in Hammamet at 40°C and lows at 26°C. Finish your sightseeing early on the 20th (Tue) so you can drive to Sousse. On the 21st (Wed), take an in-depth tour of Sousse Archaeological Museum, then contemplate the long history of Medina of Sousse, then take in the spiritual surroundings of Grande Mosque, and finally explore the historical opulence of Forte El Ribat. Get ready for a full day of sightseeing on the 22nd (Thu): make a splash at Aqua Palace, browse the different shops at Ahla Shopping Center, then take an in-depth tour of Musee Habib Burguiba, and finally contemplate the long history of Bourghiba Mausoleum. 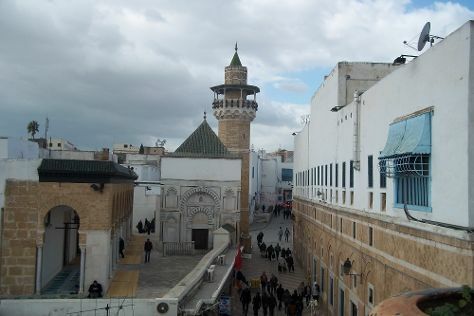 To see photos, other places to visit, maps, and more tourist information, read our Sousse trip itinerary maker website . Getting from Hammamet to Sousse by car takes about 1.5 hours. Other options: take a train; or take a bus. 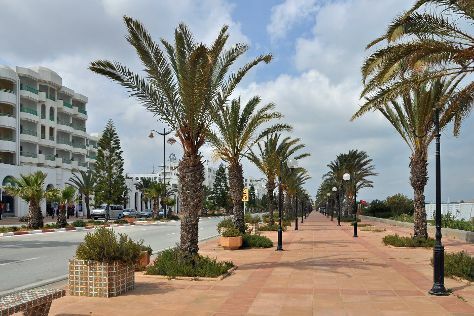 In August in Sousse, expect temperatures between 38°C during the day and 28°C at night. Finish your sightseeing early on the 22nd (Thu) so you can drive to Tunis. Kick off your visit on the 23rd (Fri): wander the streets of Medina of Tunis, see the interesting displays at Bardo Museum, then contemplate in the serene atmosphere at Zitouna Mosque, and finally make a trip to Cimetiere Militaire Francais de Takrouna. Get ready for a full day of sightseeing on the 24th (Sat): take in panoramic vistas at The doors of the medina, don't miss a visit to Centro storico, and then explore the ancient world of Carthaginian Ruins. To find traveler tips, reviews, and more tourist information, you can read our Tunis trip itinerary planning app . Getting from Sousse to Tunis by car takes about 2 hours. Other options: take a train; or take a bus. In August in Tunis, expect temperatures between 39°C during the day and 26°C at night. Wrap up your sightseeing on the 24th (Sat) early enough to travel to Djerba Island. On the 25th (Sun), stroll around Krokodilfarm Animalia, get to know the resident critters at Djerba Explore, examine the collection at Lalla Hadria Museum, then don't miss a visit to Ksar ben Ayed, and finally take in the spiritual surroundings of El Ghriba Synagogue. 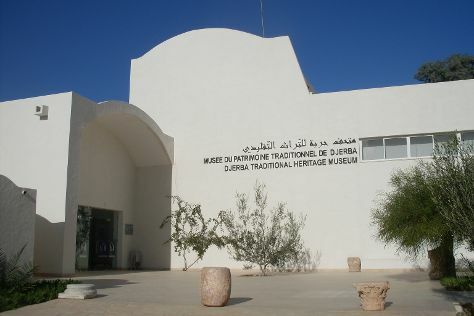 Here are some ideas for day two: make a trip to Djerbahood, then see the interesting displays at Musee de Guellala, and then see the interesting displays at Musee du Patrimoine Traditionnel Djerbien. To find maps, other places to visit, more things to do, and tourist information, read Djerba Island trip itinerary site . Traveling by flight from Tunis to Djerba Island takes 2 hours. Alternatively, you can drive; or do a combination of train and taxi. Expect a daytime high around 39°C in August, and nighttime lows around 29°C. Finish up your sightseeing early on the 26th (Mon) so you can travel back home.